Together, this area has more than 200 K-12 schools. 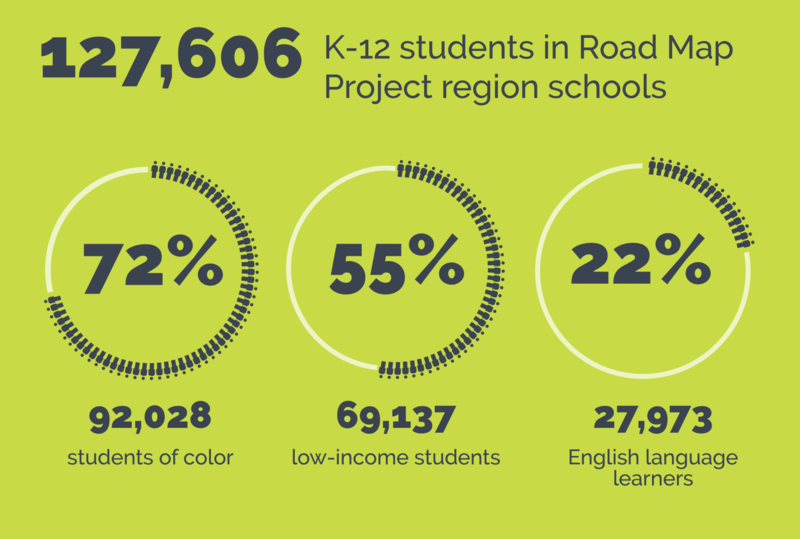 More than 127,000 K-12 students call the Road Map Project region home. 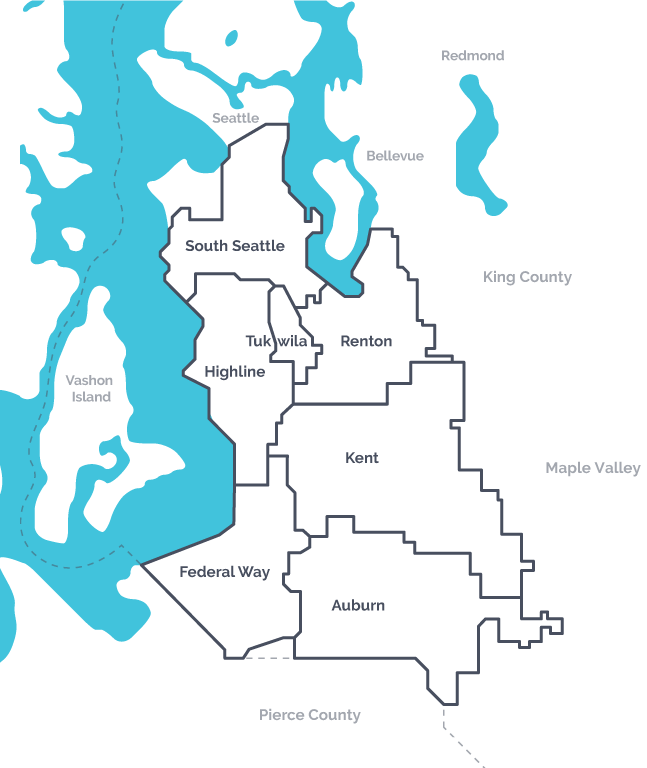 They are 11.5 percent of Washington State public school students and 43 percent of students in King County. Our youth speak 189 primary languages and come from 181 countries. They are talented, creative, and have ambitious plans for their futures. More than 5,000 of our high schoolers were recently surveyed, and 83 percent say they want to earn a college degree. The magnitude and duration of such education disparities make clear it’s the underlying systems that are the problem. What’s more, the region’s rapid economic growth is exacerbating these inequities. Rising cost of living is pushing families into homelessness. More than 5,000 of our students were homeless in 2018, nearly three times what it was when the Road Map Project began in 2010.